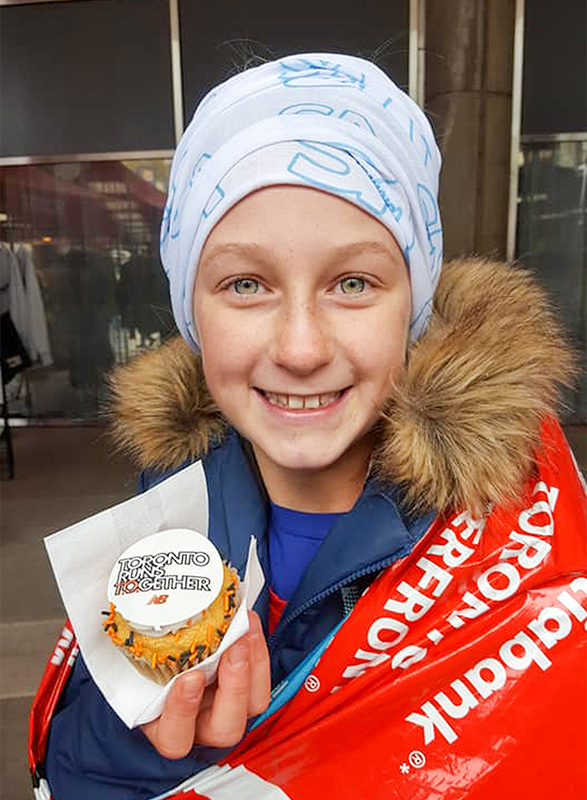 A young runner from Sarnia made her mark at the Scotiabank Toronto Waterfront Marathon recently. Despite being just 10-years-old, Mikayla Portiss finished 4th in the under 14 division, completing the five kilometre race in a time of 26:02. Overall, she placed 588th out of 8,000 runners. The Grade 6 student at Holy Trinity School started the Oct. 21 race with her family but quickly left them in the dust, threading her way through the crowd of runners, her mother Holly Portiss said. Before long, her cell phone rang from an unfamiliar number. Mikayla was at the finish line and officials were wondering where her parents were. “(She was) by far the youngest to cross alone,” Holly Portiss said with a laugh. Leading up to the race, Mikayla and her family raised more than $3,000 for Toronto Sick Kids Hospital, which included contributions from a lemonade stand and door-to-door canvassing.